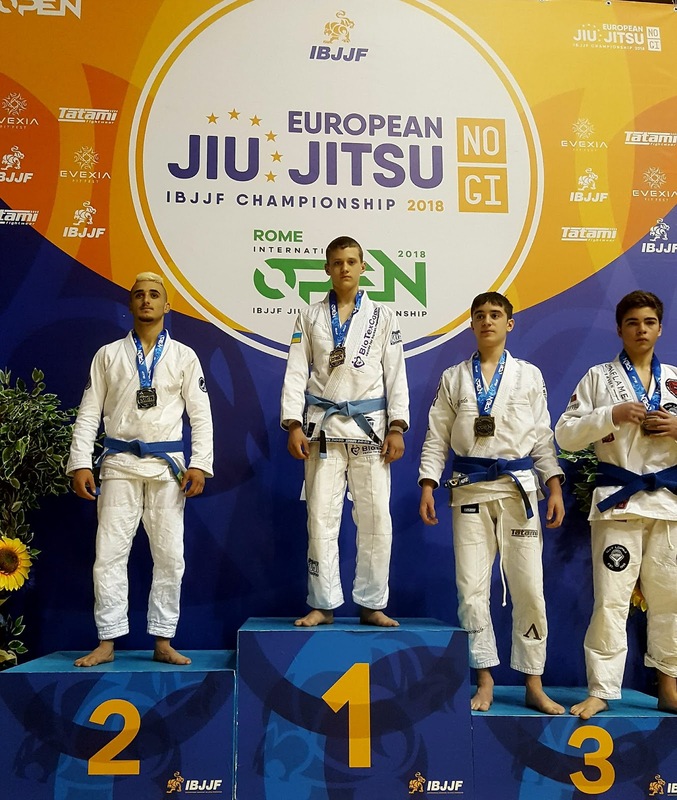 Jiu-jitsu.News: Ukrainian champion won gold at the “Rome International Open IBJJF Jiu-Jitsu Championship”! Ukrainian fighter from the SC “Borets” / ZR Team Ukraine successfully competed at the “Rome International Open IBJJF Jiu-Jitsu Championship” that took place in Italy last weekend. It was a great international jiu-jitsu event that gathered a lot of professional fighters on the European sports arena. Young Ukrainian champion Serhii Krasovskyi showed himself worthily and held an extremely tough competition. Serhii put not only a highly professional technique but also the whole his soul in all his fights. According to the results of the matches Ukrainian sportsman won gold in his weight category among blue belts and took a silver medal in absolute category. In the final match Serhii lost to points to his opponent Zoltan Toth. But it was an intense battle with a titled and very experienced competitor. Zoltan was two years older and 10 kg heavier than Ukrainian athlete. Once again, the champion proved that Ukrainian fighters are the strongest competitors!